Vortex Cubes in No Man's Sky can be quite difficult to find. Here's a planet that hosts Vortex Cubes that you can access via a portal with only the first 2 Portal Glyphs at your disposal. 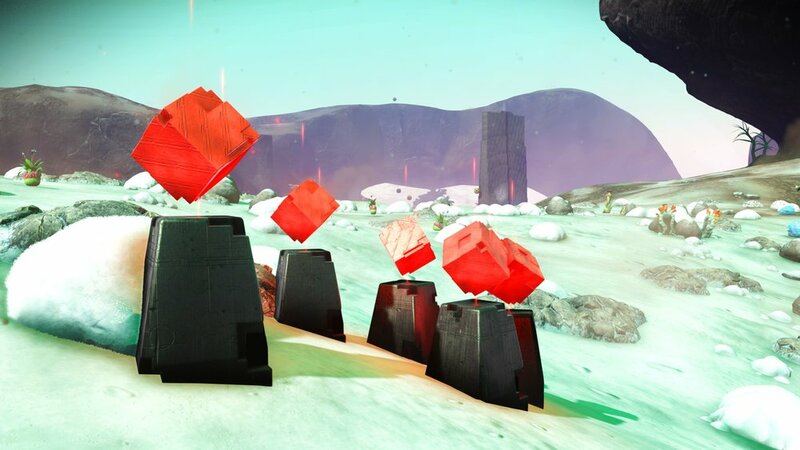 Vortex Cubes are a rare Trade Commodity in No Man's Sky obtained via a pedestal found randomly on some planets. 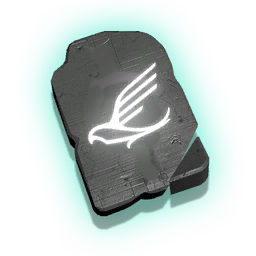 They are usually found in caves or around the openings, but sometimes can be found in clusters on the planet surface. The Address below is a planet that contains clusters with a cluster of 5 right next to the gate. Vortex Cube pedestals regenerate the Vortex Cube after some time. Vortex Cubes are used in the construction of Theta level weapon systems for ships. 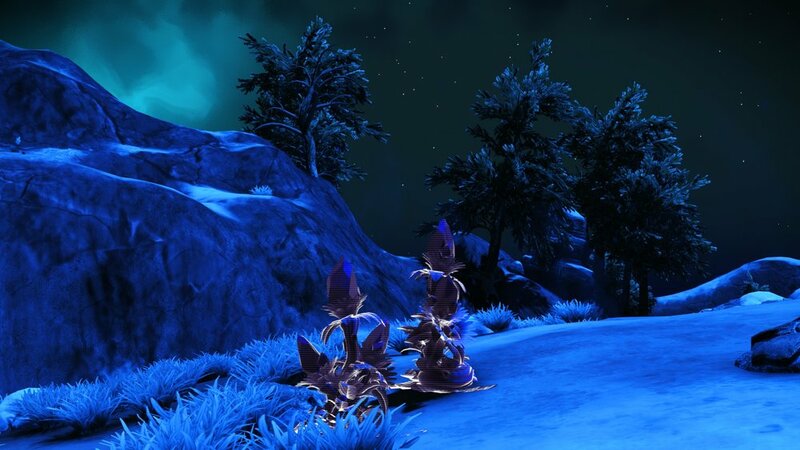 This planet also happens to be covered with Frostwort so a bit of a double win here.